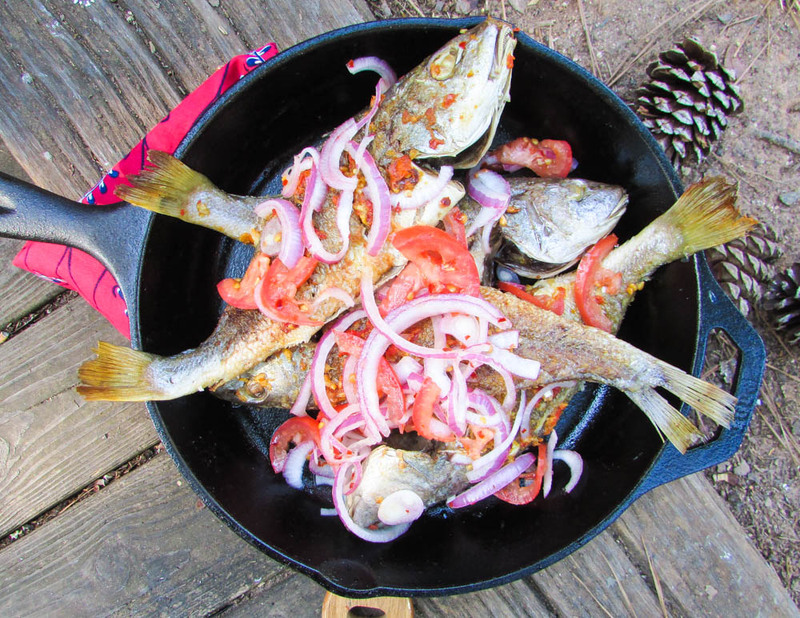 This was supposed to be a Summer recipe, but due to popular demand on roasted fish recipes, I decided to make this post. I always knew about roasted meats and other roasted foods, but never about fish except for those used in making Nigerian soups. 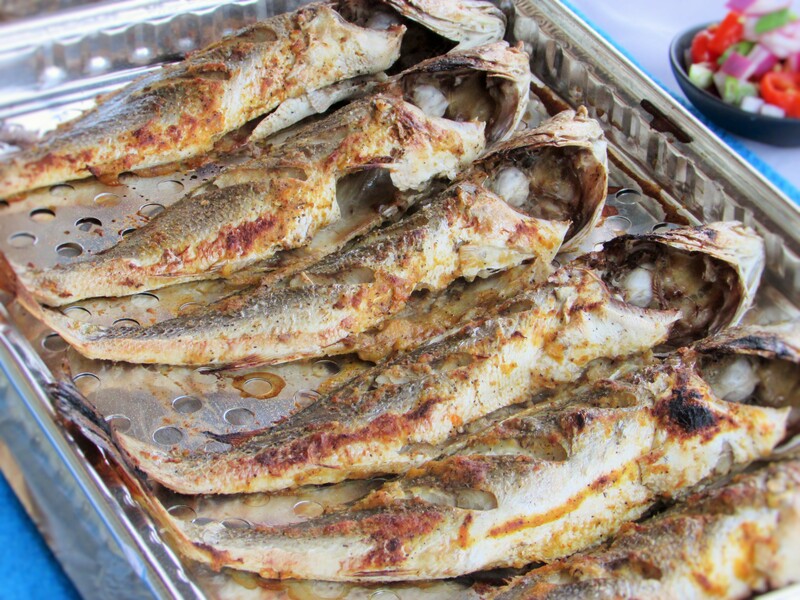 I have several recipes for roasted fish but this one is easier and works just as great. It tastes great and is quite moist. I served this fish for Easter and everyone had fun with it and I was quite elated. Wash and pat the fish dry. With a sharp knife, make 2 incisions on the flesh of each side of fish, season with salt and set aside for about 10minutes to an hour. In a mortar, mash the peppers, ginger, parsley garlic, bouillon and a pinch of salt (just a pinch); then mix with 1 tsp oil. After one hour. pre heat a tsp of oil in a pan and pre heat your oven to 350 degrees...Sear the fish in the pan until brown on both sides; then rub with the mashed pepper mix. Place in a non stick oven tray and cook until the fish is tender(about 10-15 minutes)...Alternatively, instead of searing first, you could grill the fish on an out door or in door grill and baste with the ingredients as it cooks. This entry was posted in Appetisers, Appetizers, Barbecue Recipes, Barbecued fish, Beans, Beef, Beef suya, Breakfast, chicken, chicken dishes, chicken stew, chicken suya, Coconut Fried Rice, Coconut Rice, Egg rolls, Eggs, Egusi Soup, fish, Fish recipes, Frejon, Fried chicken stew, Fried Rice, Goat Meat, Grilled fish, jollof, Jollof rice, Jollof spaghetti, Lunch, Nigerian egg rolls, Nigerian Fried Rice, Nigerian Rice Recipe, Nigerian sauces, Nigerian snack, Nigerian soups, Nigerian Stew, Okra soup, Pepper soup, Peppered meats, pottage, Puff-Puff, Rice, Rice Dishes, Sauces, Small chops, Snack, Soups, stew, Stews, suya, Swallow, Ugba, Uncategorized, Yam, Yam casserole, Yam pottage and tagged barbecued fish, Barbecued fish recipe, fish, Fish recipe, fish recipes, Griiled fish recipe, griled catfish recipe, grilled croacker fish recipe, grilled fish, grilled tilapia recipe, roasted fish recipe. Hi… My name is Chika.. I m a Nigerian.. I reside in Ibadan . I m a foodie big time. I love to cook every time.. I think i m able to invent my own recipe sometimes.. I want to meet new friends..